There is an impressive collection of Nikon DX-format cameras on the market—the latest generation includes the entry-level D3400, mid-range D5600, and prosumer D7500. Regardless of your photography experience or style, below are 10 great Nikon DX lenses covering the spectrum from wide-angle to telephoto. Most new Nikon camera models have a built-in distortion correction mode, making it easier to fix the distortion that is common among cheaper zoom lenses. 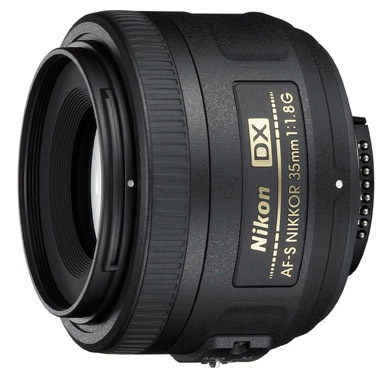 Due to the strength of Nikon’s DX line-up, only two non-Nikon lenses made this list. For more information, see our detailed lens comparison table and buying advice below the picks. What we like: Pro-grade optics for less than $200. What we don’t: Not nearly as versatile as the zoom lenses on this list. Many Nikon kits come with relatively mediocre zoom lenses, but adding a fast prime to the mix can increase the quality of your photos in a serious way. We think the Nikon 35mm f/1.8 is the ticket: it’s sharp, focuses well, is strong in low light with a maximum aperture of f/1.8, and a great value at under $200. For everything from travel and street photography to portraits, this is a quality DX lens to have in your bag. What are the downsides of the Nikon 35mm f/1.8? As is the case with any prime, it won’t give you nearly as much versatility as a zoom (it’s more of a complimentary lens than an all-in-one solution). And aside from a metal mount, the lens has a mostly plastic build. But this doesn’t stop us from recommending it—the 35mm f/1.8 will give you sharpness and bokeh that you rarely get from a zoom at a reasonable price. What we like: Premium image quality and useful focal length range. For background, Nikon recently created the 16-80mm f/2.8-4 as a kit lens for its high-end D500. Like the Sigma 17-50mm f/2.8 below, it’s designed to mirror the fast, pro-level zooms that are so popular for full-frame cameras. In this case, the 16-80mm is equivalent to 24-120mm on a 35mm camera, a very solid zoom range that goes wider than many of the lenses below (most are 27mm at the wide end). 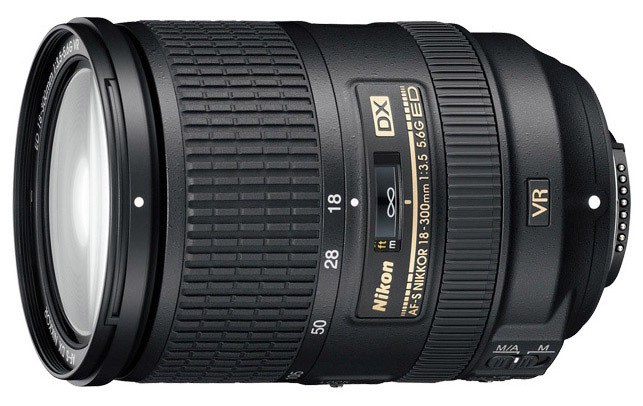 And compared to the Nikon 17-55mm f/2.8, the 16-80mm is more than $400 cheaper and weighs about 9 ounces less. If you’re looking for a high quality travel zoom for Nikon, this is it. We love the premium image quality created by the Nikon 16-80mm, but our main issues are that it’s quite pricey at over $1,000 while still not hitting the constant f/2.8 maximum aperture that we like from our high-end zooms. In addition, it’s surprisingly heavy on distortion. But we can’t help but love the optical quality and sharpness, which outperforms all of Nikon’s other kit zooms in a big way (there is good reason this lens is reserved as the kit lens for Nikon’s premium crop sensor camera). What we like: Fast and reasonably priced. What we don’t: Zoom ring works in reverse of Nikkor lenses. It can be intimidating to make the jump from Nikon’s native lenses to a third-party brand like Sigma, but there are some very interesting options to choose from. Case-in-point is the Sigma 17-50mm f/2.8, which gives you impressive low light performance and a solid focal length range at a reasonable price point. As a walk-around lens for those who like to shoot in challenging or natural light, it’s an attractive option for Nikon crop sensors cameras (Sigma also makes this lens with mounts for Canon, Sony, and Pentax). The strongest feature of the Sigma 17-50mm lens is the f/2.8 maximum aperture, which meets our unofficial “pro” cutoff. At an equivalent of 25.5-75mm, you get better wide-angle coverage than the 18mm zooms but slightly less than the 16-85mm above. Two downsides of the Sigma 17-50mm are build quality, both in terms of the materials and consistency from lens to lens, and the zoom ring that works in the reverse direction of Nikkor. These issues aside, you won’t find better value in a travel zoom for Nikon DX. What we like: A great portrait lens for a reasonable price. What we don’t: Not quite as sharp as the 35mm f/1.8 above. With our top pick we raved about the usefulness of a fast prime that doesn’t break the bank, but the 35mm f/1.8 isn’t your only option in this category. 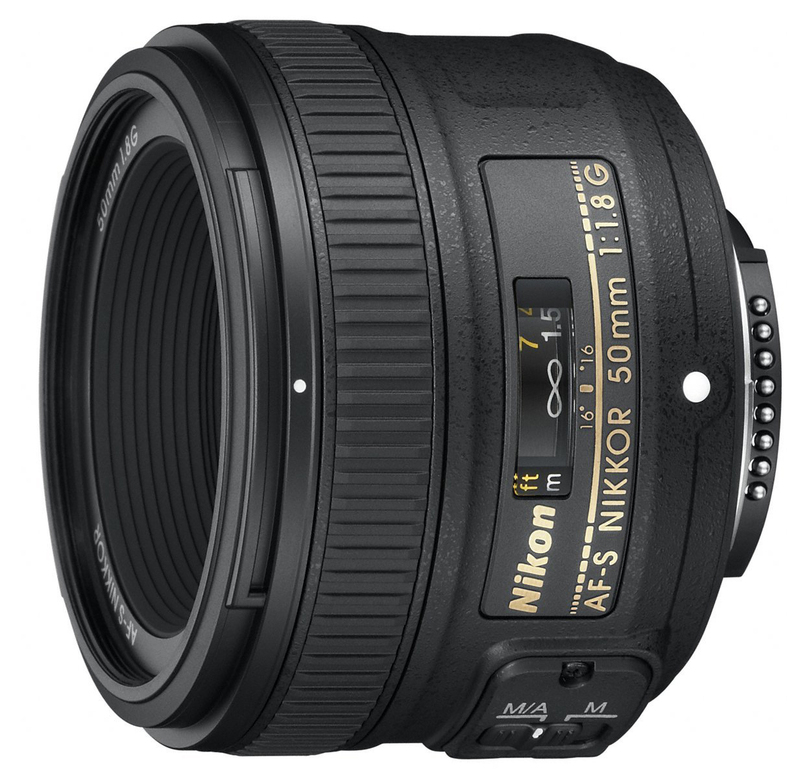 The Nikon 50mm f/1.8 is a classic lens: on DX cameras it has a 75mm focal length equivalent, which is ideal for portraiture. In terms of optics, the lens is sharp, great in low light, focuses quickly and accurately, and weighs only 6.6 ounces. Compared to a zoom, the 50mm f/1.8 can help give your photos a much crisper and professional look. Keep in mind that the 50mm f/1.8 technically is an FX lens, although many people use it on DX cameras given the affordable price point. The dual compatibility isn’t necessarily a bad thing: you get slightly better build quality than the 35mm f/1.8 above and you can bring this lens along with you should you ever decide to upgrade cameras down the road. What we like: A super versatile lens with a nice focal length range. What we don’t: Doesn’t go as wide as the 16-80mm or 16-85mm, and not quite as sharp either. Walk-around zooms have become increasingly popular for their convenience, but choosing the right one can be tricky. Yes, the 16-80mm above is a superior lens from an optical perspective, but not everyone wants to spend over $1,000 for the privilege (that would be higher than the cost of most DX cameras). Enter the 18-140mm f/3.5-5.6, which we think is one of the best values on this list. It’s optically superior to Nikon’s other kit lenses like the 18-55mm and 18-105mm, yet cheaper and lighter than higher-end options like the 16-80mm and 16-85mm. For many people, it hits the sweet spot of price and performance. What are the compromises of the Nikon 18-140mm? The lens has some distortion, particularly at the ends, although all of Nikon’s recent DSLRs have a built-in distortion correction mode. And low light performance at f/3.5-5.6 is fairly marginal, which can be an issue depending on the type of photography you like to shoot most. But it’s hard to argue against the versatility of this lens, including the big zoom range at a 27-210mm equivalent. What we like: Finally, an affordable wide-angle zoom from Nikon. What we don’t: Low light performance and plastic-y build. For years, finding a wide-angle zoom was a big challenge for DX camera owners. 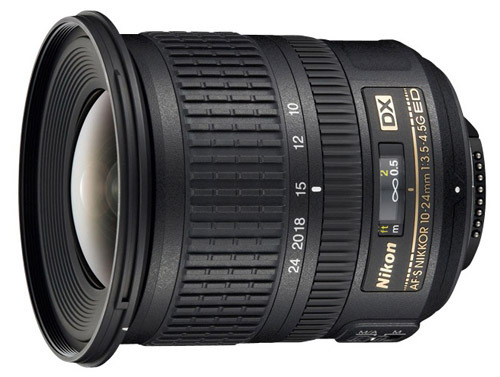 Nikon offered the 10-24mm f/3.5-4.5 below, but that lens was a whopping $900. At the same time, Canon blazed the trail with its inexpensive 10-18mm f/4.5-5.6, which is available for only $279. But Nikon came to the plate in a big way in 2017, releasing the new 10-20mm f/4.5-5.6. Most importantly, landscape photographers and other wide-angle shooters have a viable DX option at a reasonable price. It’s important to have reasonable expectations with a lens like the Nikon 10-20mm. There is a lot of plastic in the build, but that does help keep weight down to a very reasonable 8.1 ounces (many wide-angle zooms are double that or more). More, the maximum aperture of f/4.5-5.6 means that shooting sunsets and other low-light scenarios will be a challenge. But we love the sharpness and image quality overall, making this is a must-have lens for uses like outdoor photography and architecture. What we like: Inexpensive yet gets the job done. What we don’t: Some people will want more telephoto reach. Given that many Nikon DX cameras are sold with an 18-55mm kit lens, a healthy number of photographers can add one telephoto lens for a complete setup. Without a doubt, the leading options are the 55-200mm f/4-5.6 and the 55-300mm f/4.5-5.6 below. Both offer similar optical performance and come with vibration reduction, but the 55-200mm is lighter at only 11.8 ounces and considerably cheaper at just under $150. For most people and uses, this is a nice complimentary lens to have in your bag and our favorite telephoto option for DX. Who should consider the 55-300mm f/4.5-5.6 below? The extra 100mm certainly can be helpful for wildlife photography, and some travel and sports photography requires a lot of zoom. If you plan on using a telephoto lens frequently, the 55-300mm probably is worth the extra cost and weight. But if you’re like most of us and only use a telephoto lens on occasion, the 55-200mm will get the job done at a very inexpensive price. What we like: Incredible versatility—this is our favorite all-in-one lens for Nikon DX. What we don’t: Image quality can’t quite match specialty primes or zooms at their respective focal lengths. We’ll start by saying that we aren’t huge fans of all-in-one lenses. The convenience is incredible: you can cover virtually the entire spectrum of focal lengths without changing lenses. But the image quality from an all-in-one lens just can’t compete with specialty primes or zooms at their respective focal lengths. Having said that, the Nikon 18-300mm f/3.5-6.3 is the best of the bunch and a very popular option for travel and everyday use. Released a few years ago, the latest version of the 18-300mm is even lighter and cheaper than in the past, with the only real sacrifice being a maximum aperture at the long end of f/6.3 instead of f/5.6. And we definitely like this lens more than the 18-200mm below, which is in the same price range and somehow even heavier. Neither will give you pro-level optics, but they are the most versatile lenses on the DX market, and that means something. What we like: The fastest wide-angle zoom on this list at f/2.8. What we don’t: Softness toward the edges. Before Nikon released the inexpensive 10-20mm f/4.5-5.6 above, we had the Tokina 11-16mm as our top wide-angle zoom for DX. This is an interesting lens: with a maximum aperture of f/2.8, it offers impressive low light performance and bokeh that you just won’t get from the slower zooms on the list. 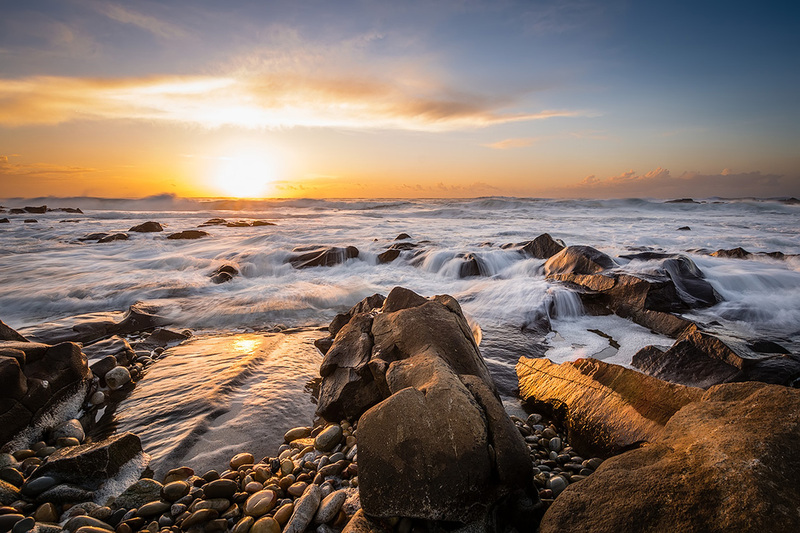 For serious outdoor photographers and others who frequently shoot in low natural light, the Tokina 11-16mm is an intriguing option. Why is the Tokina 11-16mm f/2.8 ranked here? First is distortion, which is heaviest at the wide end but still noticeable through 16mm. Second, sharpness could better, and particularly toward the edges of the frame. Third, the focal length range is smaller than the other wide-angle zooms on this list with a 16.5-24mm equivalent. Finally, Tokina build quality generally is fine but not quite up to Nikon standards. 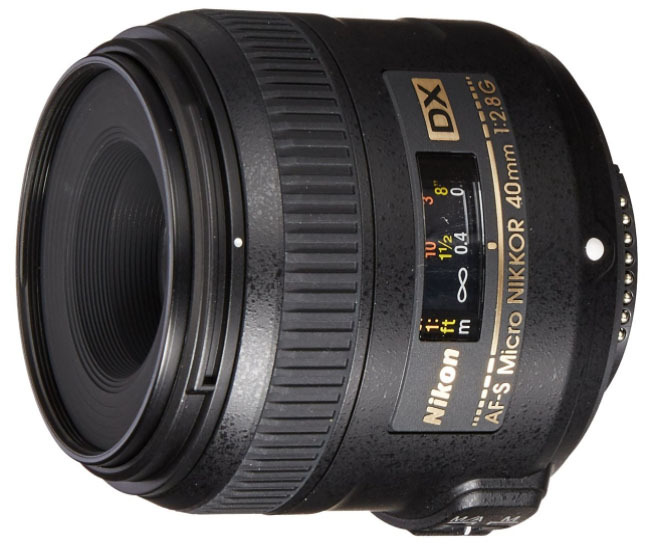 Nevertheless, this is the fastest wide-angle zoom on this list and less than half of the price of the Nikon 10-24mm f/3.5-4.5 below. What we like: Super sharp and a good price. Many lens categories are represented on this list, including wide angle, portrait, and telephoto. But Nikon makes a couple of really nice macro options for DX too (Nikon calls them “Micro”), including the 40mm f/2.8. With a 60mm focal length equivalent, this lens is sharp, reasonably fast with a 2.8 maximum aperture, and focuses well all the way up to around 6 inches from your subject. And for macro enthusiasts, the lens boasts the ever-important 1:1 magnification ratio. Perhaps the biggest complaint about the Nikon 40mm Micro is that it lacks vibration reduction (the Nikon 85mm Micro lens does have VR, although that is an f/3.5 lens). Normally a lens with an f/2.8 maximum aperture would be fine without VR, but macro photography can require a steady hand depending on the circumstances. For those looking to get even closer to their subjects, the 85mm Micro is another solid option but considerably more expensive at $527. What we like: Not a bad option as part of a Nikon kit. What we don’t: Image quality if fairly mediocre overall. 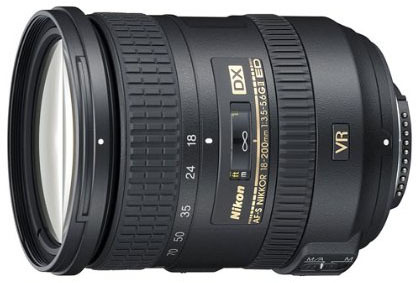 The Nikon 18-55mm VR II is perhaps the most widely-used lens on the list. The reason? It’s available in kits with just about every crop sensor Nikon DSLR market, and for considerably less than the MSRP on its own. How do we feel about this lens? For the usual $100 more than the cost of the camera body, it’s a fine option that will get you out of the door and snapping good photos. 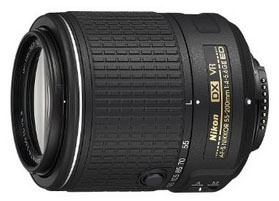 Nikon has improved the lens with each rendition and the current model is much better and lighter than its predecessors. In terms of optics, there is nothing extraordinary about this lens. The 18-55mm focal length range is equivalent to 27-82.5mm on a 35mm camera, which is good but not as versatile as the 18-140mm or 16-80mm above. More, the lens isn’t super sharp and mediocre in low light (on par with many other inexpensive zooms). If you’re on a budget and don’t want to spend much on lenses, this is an attractive budget option. But for people who want to take their photography to the next level, we recommend considering the superior options above. 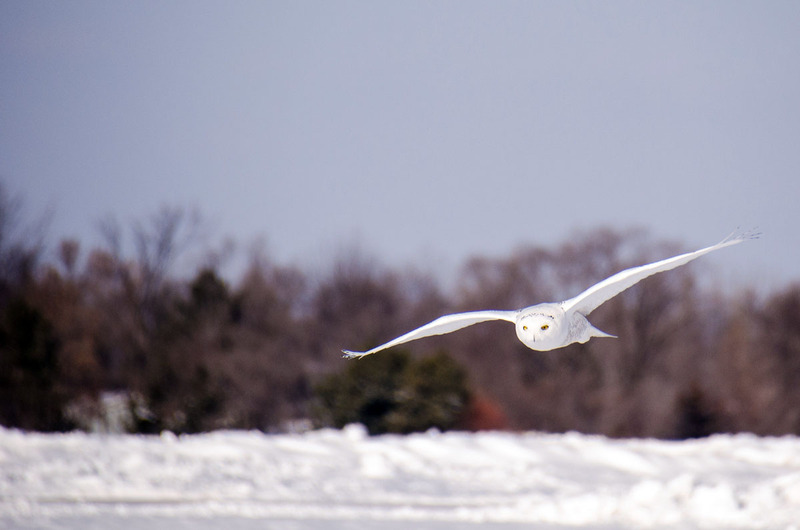 What we like: The 300mm of reach matters for wildlife and other uses. What we don’t: More than double the cost of the 55-200mm above. 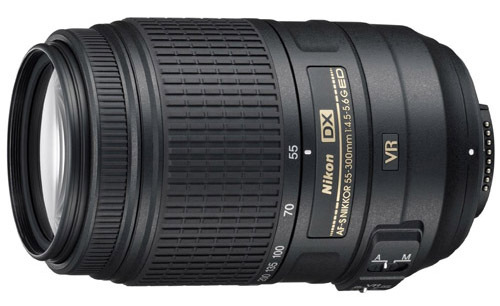 In terms of telephoto zooms, we have the Nikon 55-200mm f/4-5.6 ranked higher on this list due to its lower cost, but it’s hard to argue against the 50-300 f/4.5-5.6. Most importantly, this lens ties the all-in-one 18-300mm for the longest reach of any DX lens. With a focal length equivalent of 82.5 to 450mm, it’s an excellent option for wildlife photography and other uses that require extra zoom. From an optical perspective, the lens produces quality images that are reasonably sharp, and vibration reduction helps limit camera shake in low light. One notable downside of the 55-300mm is that the autofocus can hunt on occasion, but that is a common issue with long telephoto lenses. And compared to the 55-200mm above, it’s about $250 more expensive and 7 ounces heavier, both of which are significant parts of our calculations. But if telephoto photography is a big part of your repertoire, the extra 100mm of reach likely is worth it. What we like: Surprisingly sharp for a walk-around zoom. What we don’t: In this category, we prefer the cheaper 18-140mm f/3.5-5.6 above. The DX field is awash with walk-around zooms these days, but each has a purpose and target audience. In the case of the 16-85mm f/3.5-5.6, it offers considerably better optical performance than the classic 18-55mm kit lens. We love the focal length range in particular, which is equivalent to 24-127.5mm on a 35mm camera (24mm at the wide end is much more useful for landscapes than the 27mm equivalent found on many other kit lenses). It’s also surprisingly sharp for a zoom of the type. The reason we have the 16-85mm f/3.5-5.6 ranked here is that it’s hard to spend $700 on a lens with a very average maximum aperture of f/3.5-5.6. More people opt for the 18-140mm above, which has longer reach and is cheaper, with the sacrifices being 2mm at the wide end and a little less sharpness. Or there’s the premium 16-80mm f/2.8-4, which is the best of the bunch optically but too pricey for most people’s tastes. What we don’t: The 18-300mm above is newer, lighter, and has more zoom. 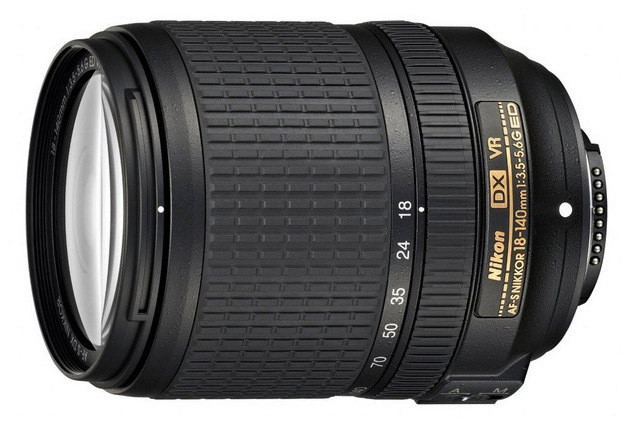 We’ll start by saying that we have an emotional connection to the Nikon 18-200mm: many years ago, it was the first “real” lens we purchased and accompanied us on a number of big trips. And the draw to this lens is clear. Similar to the 18-300mm above, it’s another all-in-one option that can serve as the only lens in your bag. For around $650, it’s an enticing scenario for photographers who prioritize convenience and ease of use. However, we feel pretty strongly that the 18-300mm above is the superior all-in-one lens. The original version of the 18-200mm was released all the way back in 2005, and even the latest VR II version was 2009, meaning the lens is a little long in the tooth at this point. On the other hand, the 18-300mm is newer, lighter, and offers more zoom. Given that the price difference currently is only $50, we prefer the 18-300mm in the all-in-one category. 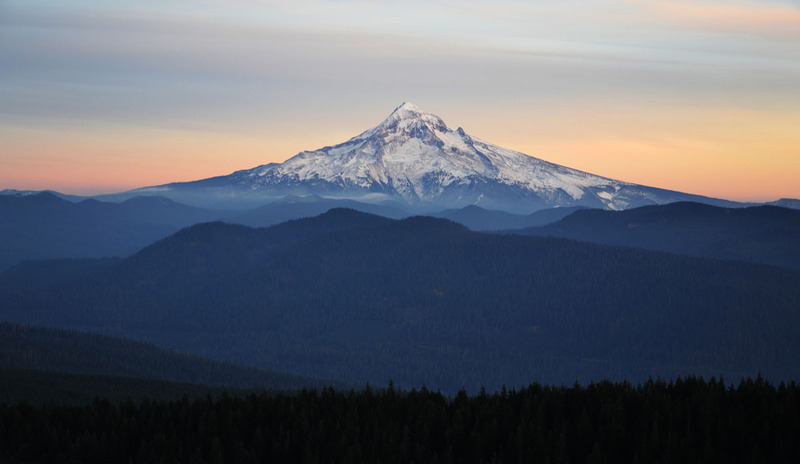 What we like: The sharpest wide-angle zoom on this list. 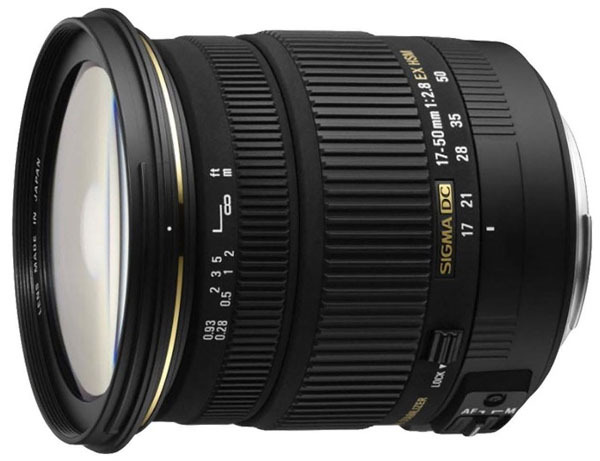 What we don’t: For our money, we’d pick the new Nikon 10-20mm f/4.5-5.6 above. 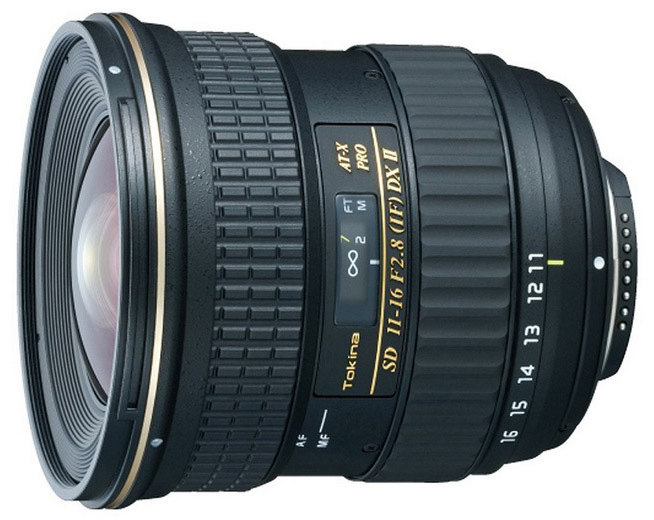 For years, the 10-24mm f/3.5-4.5 was the leading wide-angle lens for Nikon crop sensor cameras. Third-party manufacturers like Tokina and Sigma weren’t on the radar in the same way they are today, and the Nikon 10-20mm f/4.5-5.6 was yet to hit the market. But with all of the available options and the hefty $900 price tag of this lens, it’s much harder for us to recommend the 10-24mm now. On a more positive note, the Nikon 10-24mm f/3.5-4.5 is a quality wide-angle zoom. The build is impressive, the focal length range is very solid at a 15-36mm equivalent, and the lens is sharper than any comparable option. And stacked up to the 10-20mm f/4.5-5.6 above, you get better low light performance, although not to the same level as the Tokina. Price considerations notwithstanding, it’s a solid lens for wide angle uses like outdoor photography and architecture. We can say from experience that ultra-wide-angle lenses—10mm to 18mm in particular—can be a challenge. They require shooting close to the foreground and the photos have a very big, open feel. This can be a useful tool for experienced photographers, but shooting ultra wide can be tough for beginners. 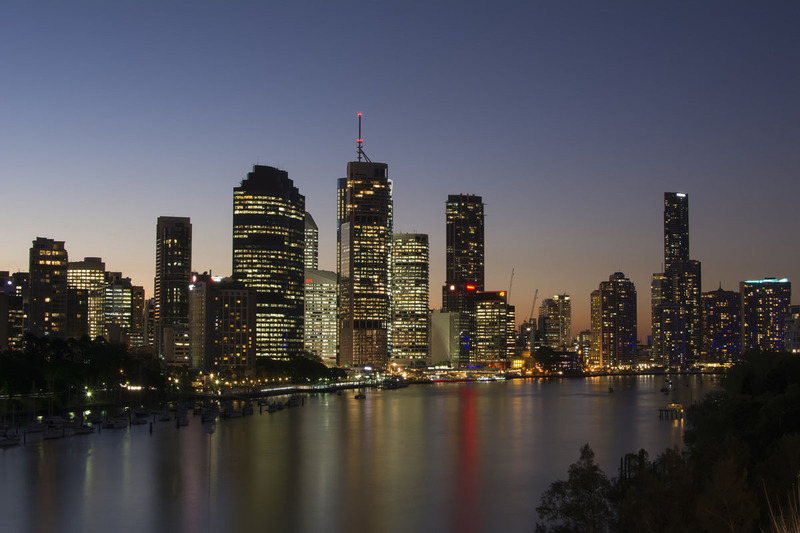 For wide-angle landscape shots, we prefer to shoot from around 21mm to 24mm. 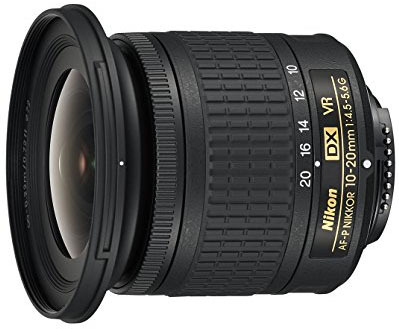 Although expensive for a DX lens, the Nikon 10-24mm f/3.5-4.5 covers essentially the full spectrum of wide-angle focal lengths and is quite useful in that regard. A normal field of view comes into play at 35mm, which is a popular focal length for street and travel photography. 50mm is the equivalent of the human eye and is great for people shots (although close-up portraits and head shots may require something closer). Telephoto lenses start at 70mm, and anything above 200mm is considered to be super telephoto. Wildlife photographers will want something with 200mm or more of zoom. Nikon’s DX cameras have a 1.5 crop factor, meaning that a 50mm lens on a DX camera actually will behave like a 75mm lens on a 35mm camera. Explaining crop factor can make for a long story, but what you need to know is that lens focal lengths are described using 35mm film as the reference point. Because the image sensor on a Nikon DX-format is 1.5 times smaller than a 35mm camera, you multiply the listed focal length of the lens by 1.5 to determine its DX equivalent. It’s the case for all lenses, so make sure to take this important focal length conversion into account when choosing your DX lenses. You can debate endlessly the pros and cons of zoom and prime lenses. Zoom lenses cover a range of focal lengths and therefore offer more versatility, while fixed length prime lenses generally are faster and have less distortion. The best lenses for you depend on the ways in which you intend to use them. Zoom lenses are great for beginners and situations that require a variety of focal lengths. Many wide-angle lenses are zoom lenses, and it’s the same story at the telephoto end of the spectrum. On the other hand, many normal field of view, portrait, and macro lenses are primes. These fixed focal length lenses give you superior low light performance and better bokeh than their zoom counterparts. They also weigh and cost less. Zoom lenses tend to have more distortion than primes, particularly toward the ends of their ranges, which used to be a bigger downside that it is now. All of Nikon’s new digital SLRs have a distortion correction mode built into the camera. It’s better to have a lens with less natural distortion, but in-camera distortion correction does a pretty good job of straightening lines and make horizons look less rounded (you can finish the job in Photoshop and with other editing software if need be). Nikon began including this feature a few years ago with the D3200 and D5200, and you can run a firmware update with older DX cameras to add the functionality. The overall trend is toward zoom lenses, which are better from an image quality perspective than they used to be. “Travel zooms” in particular, such as the Nikon 18-140mm or 16-85mm, offer more convenience and versatility than prime lenses and better optical performance and reach than the classic 18-55mm kit lenses. Aperture is the size of the lens opening through which light passes and is measured in f-stops. The lower the f-stop (f/2.8, f/1.8 etc. ), the larger the opening and the more light can enter. You can see the full f-stop scale here, and keep in mind that lower numbers make for more desirable lenses. We make the professional lens cutoff at f/2.8; lenses with this maximum aperture or faster are solid low light performers and can help you achieve the creamy background that pros love. Many non-professional zoom lenses have a maximum aperture of f/3.5, which is respectable but can cause some challenges when natural light is low. Nikon’s vibration reduction (VR) technology helps, as does the use of a tripod. You’ll notice that we include lens weight in the specs and consider it to be an important factor, especially for uses like travel and outdoor photography. The movement in 2017 is toward smaller and lighter camera set-ups—see the impressive growth of mirrorless interchangeable-lens cameras—and it’s no fun to have your camera bag weighing you down. The good news is that with better engineering and superior materials, Nikon’s DX lenses have gotten lighter over the years. For example, the 18-300mm all-in-one lens for DX actually is lighter than the older 18-200mm that has 100mm less zoom. 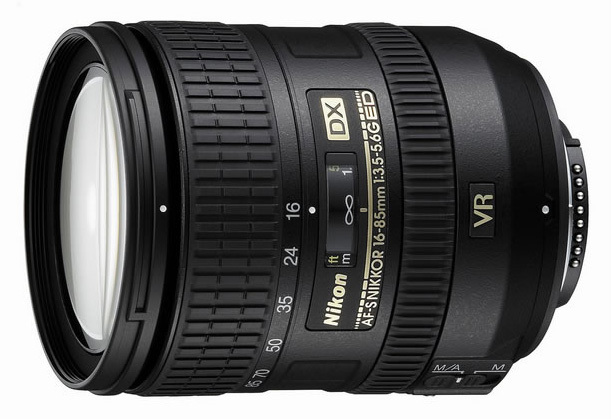 Even Nikon’s standard 18-55mm VR II kit lens is about 20% lighter than the previous version. More plastic in the mount and barrel can affect durability in the long run, but the changes are positive on the whole. We like to tally up the total weight of our camera and lens kit before making a purchase. The bulk of some high quality lenses can’t be avoided, but it’s nice to pack lightweight lenses whenever possible. You’ll notice that 8 out of 10 lenses on this list are manufactured by Nikon (the Sigma 17-50mm and Tokina 11-16mm are the outliers). Nikon makes some of the finest lenses on the planet—they generally are sharp, have fast and accurate autofocus, and are built to last. There are a number of other viable options from third-party brands like Tokina, Sigma, and Tamron that are less expensive than comparable Nikon models and at least slightly inferior from an optical perspective. We recommend a number of lenses from these third-party brands in other articles and have nothing against them, but the “Best of DX” is a tough list to crack and Nikon's native offerings often winsout in quality. Can You Use FX Lenses on a DX Camera? Most FX lenses are compatible on DX cameras, but you won’t be utilizing the full potential of the lens (the area of the lens that extends beyond the crop-frame sensor will be cut out of the photo). Because FX lenses are considerably more expensive and heavier than DX lenses, we don’t recommend buying FX lenses for a DX camera. If you already own FX lenses, you can use them on your DX camera. What About DX Lenses on an FX Camera? 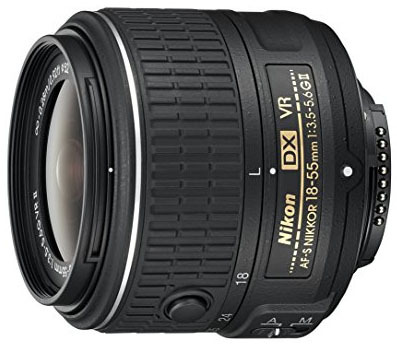 DX lenses technically are compatible on FX cameras, but the camera only will record the center of the image (most newer Nikon cameras automatically select a DX crop mode whenever a DX lens is attached). The result is a compromised image that is a disservice to your high-end FX camera. If you spend the money to go for a full-frame camera, you should plan on investing in full-frame lenses as well.